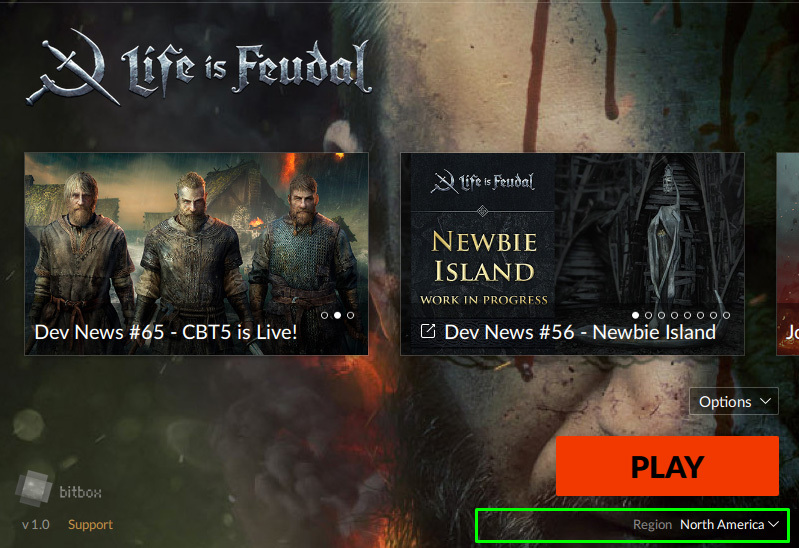 Life is Feudal • View topic - Development News #73 — Brave New World! Development News #73 — Brave New World! Today is Friday the 13th, so we thought we’d bring some luck to the day by launching the whole new LiF:MMO world, with servers based in North America! It is a test empty world with the same map and resources locations as the good old European one. All who have access to our current CBT will be able to join this world, just switch the region from Europe to North America in the launcher. The NA world is a good place to have a rehearsal for the upcoming OBT start as it is completely fresh and will have no wipes until the OBT. You can try out different strategies for your settlement development and make plans and arrangements, ready for the wipe and clear start of the OBT. Just keep in mind that we are going to have all the resources reshuffled on the OBT start to give newcomers the equal opportunities at the new beginning of the feudal life. We have also recently released a small patch for LiF:YO. Among implemented features, we’ve added the ability to get inside damaged buildings. You will no longer need to tear them down completely to get to the loot, just break in and get the spoils! The patch also brings in some fixes and balance tweaks, you can check the detailed patch notes at our Steam store page! Re: Development News #73 — Brave New World! Last edited by Khan- on 13 Oct 2017, 20:45, edited 1 time in total. will trees be reshuffled to? Connection error. Error code: (CR_INVALID_ACCOUNT). Any help with this issue would be great. I'm also having the Connection error. Error code: (CR_INVALID_ACCOUNT). issue. "waiting for reply from dispatcher"
.....but does not seem to go any farther. Progress none the less though. When is the exact day of the wipe? SABBATHIEL wrote: When is the exact day of the wipe? Kingdom of Hyperion founding Duchy - A practical RP Community est. 1999 - Apply Today! Los CUERVOS siempre viven, trabajan, viajan y matan en grupo.